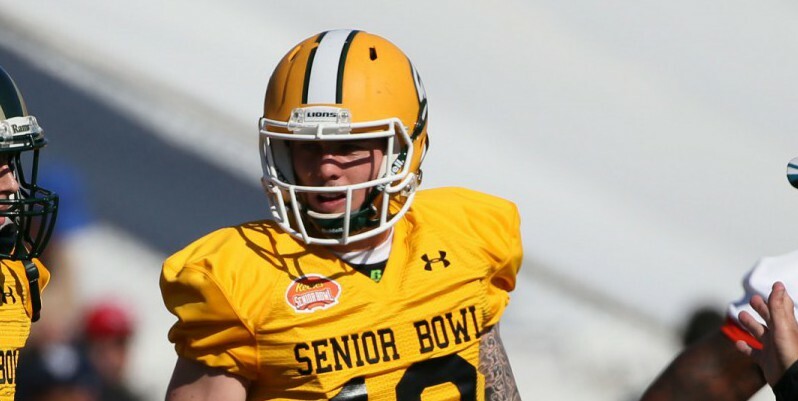 While Marcus Mariota has declined to play in the Senior Bowl, his former teammate Bryan Bennett was added at the last second (partially because of Mariota declining and also because of Auburn QB Nick Marshall moving to Corner). Through the week of practice so far Bennett has impressed and stepped up as the most versatile QB in Mobile. While the top prospects (Jameis Winston, Mariota, etc.) are not participating in the Senior Bowl, for Bennett to come in and jump to the front this quick is a good sign for the one time Duck signal caller. In a much publicized interview Bennett also stated his desire to work with his former coach, Chip Kelly, again. While this has pretty much been the case of every former Duck to go into the NFL, this is one of the few that actually makes sense. For one, Bennett would not have a high price, as Kelly would most likely only have to pass a waiver on the former Duck. On top of this, there have been murmurings of a lack of faith in Nick Foles, and second string QB Mark Sanchez is a free agent. This move makes even more sense when you remember that Kelly has also just been handed the keys to the front office for all intents and purposes. With Kelly calling the shots in Philadelphia, and Bennett’s currently low stock value, it seems likely that the Eagles would happily take a QB that is already familiar with how the Eagle’s offense is run. The true test for Bennett’s draft stock will be the culmination of the Senior Bowl game, the NFL Combine (should he be invited), and his pro day at Southeastern Louisiana University. A strong showing combined with having a friend/former coach in Philly’s front office would bode well for Bennett. It truely would be interesting if after all the talk of a Mariota/Kelly reunion if the “Ugly Duckling” Bennett, wound up in Philadelphia instead.